Shawsheen Village was named after the Native American name for the river Shawshin, which means Great Spring. Prior to Shawsheen Village this area was known as Frye Village. All the streets in the new Village were named for Castles & Cathedrals in Great Britain Dumbarton Street takes its name from Dumbarton Castle which has the longest recorded history of any stronghold in Scotland. It overlooks the Scottish town of Dunbarton, and sits on known as Dumbarton Rock which is 240 feet high. It overlooks the river Clyde. 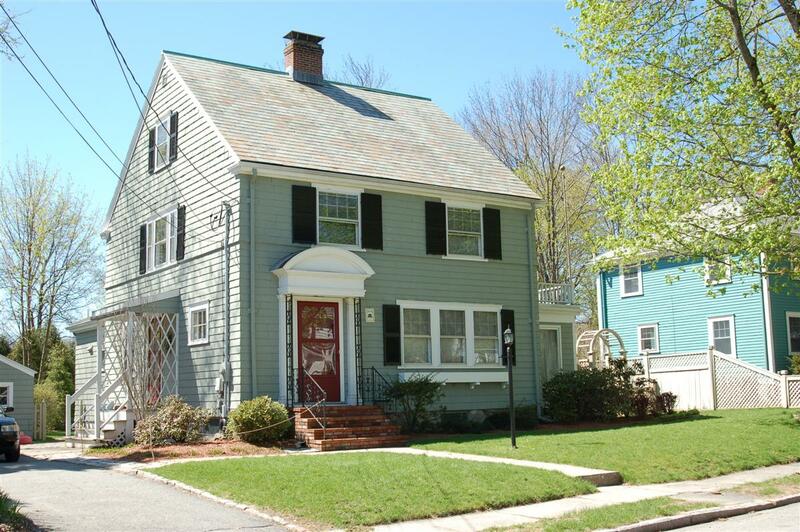 The house is in the Shawsheen Village National Register Historic District, surveyed in 1977 and created in 1979. It was designated a National Register Historic District in 1980 by the Massachusetts Historical Commission, of the Commonwealth of Massachusetts. original screen porches have been enclosed for an additional room. One of the first occupants of record to lease the home in 1923 were Mathew & Louisa Burns. Mathew was a blacksmith. A son Mathew Dean is listed as a plumber. In 1943 Arthur W. & Lilla M. Jones are leasing the home. Arthur is a clerk at the Essex Savings Bank in Lawrence. This house was sold to Paul S. & Anna L. McKinnon on May 8, 1945. Paul b. 1910 worked in Sales Department. Anna b. 1915 was a Registered Nurse.